The patterns do not appear very often on higher timeframes when the strict option in the indicator settings is enabled. But when they do, it is a very high-probability setup. 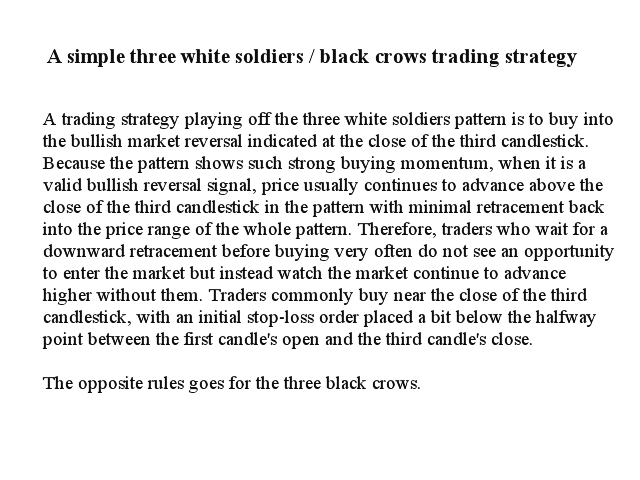 According to Thomas Bulkowski (internationally known author and a leading expert on candlestick patterns), the Three line strike has the highest overall performance rank of any candlestick pattern. 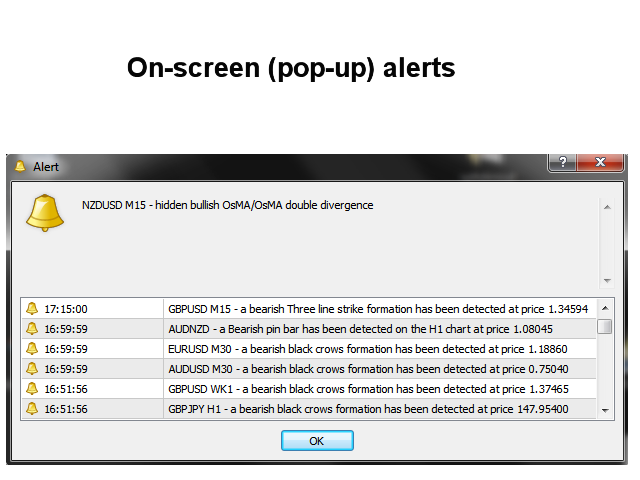 Monitors every timeframe, from M1 to MN, and sends you a real-time alert when a pattern is identified. Can use RSI as a trend filter in order to properly identify potential reversals. The indicator includes an interactive panel. When clicking on an item a new chart will be opened with the symbol and timeframe in question. It is enough to place the indicator on one chart and you will receive an alert from any symbol and any timeframe of your choice. Please note that due to the multi-timeframe functionality, this indicator will not draw lines and arrows or sell and buy advice on any chart. Amount of signals to show in the panel: Default is 15. But you can set it to more if it will fit on your chart. The signals will be shown in descending order, i.e. the latest signal first. Panel width: Default is 300. For instance, if you are using a non-standard font size in windows you could set this to a larger value in order for the whole text to be visible. Template name: The template you put here will be applied to the chart which will be opened when you click on a signal in the panel. The name should include the file extension (.tpl). Scan for bullish and/or bearish: This is a drop down menu where you can select if to scan for only bearish or bullish engulfing and pinbar formations. Enable scanning: True or false. Set to true to enable scanning of these patterns. First (reversal) candle's body must engulf prev. candle's body: True or false. The reversal candle is the first of the three candles. If set to True then this candle's body must engulf the previous candle's body. Average body-size period (0 = any size): Default is 12. It will calculate the average body size from the last 12 bars (counted from the last bar in the formation (shift 1)). Each body of the three candles in the formation must have at least the calculated average body size. Max. 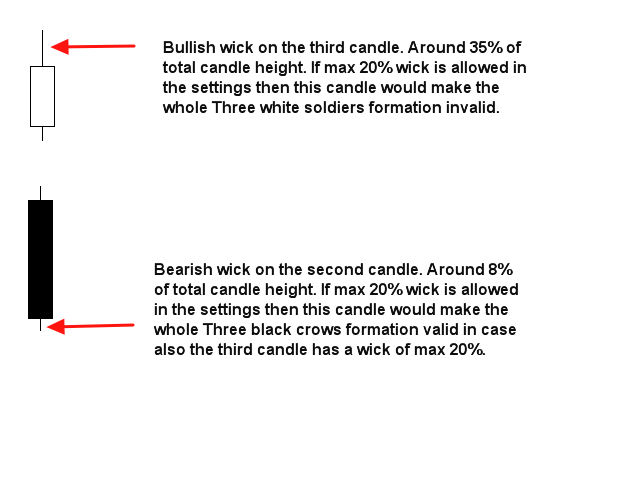 size % of wick for 2nd and 3rd candle: Maximum allowed wick percent for second and third candle. Used in both strict and non strict mode (please see screenshot for explanation). When using strict mode it is recommended to set the wick percentage not higher than 10. The second and especially the third candle should close near its high/low. Enable RSI (on candle prior to reversal candle): True or false. 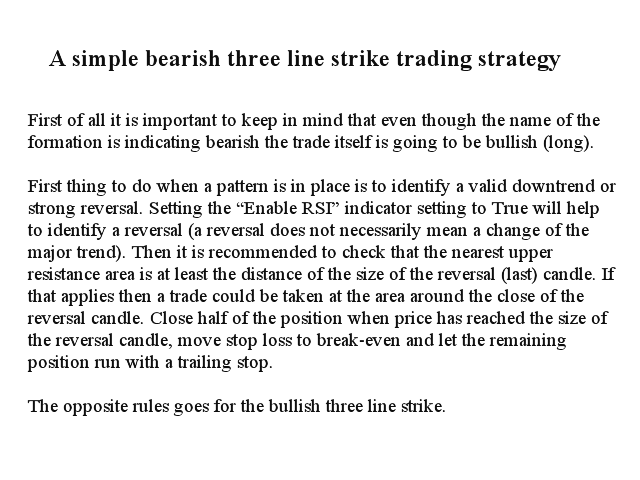 Applies to the candle prior to the first candle in the formation (shift 4). Enable scanning: True or false. Set to true to enable scanning of these patterns (bearish and bullish). 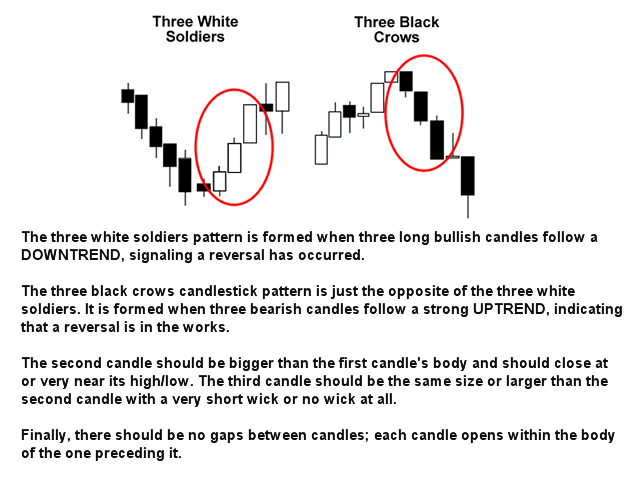 The bodies of each of the three candles prior to the reversal candle must have at least a body size according to the setting below. Opening price is within the previous body. Min. 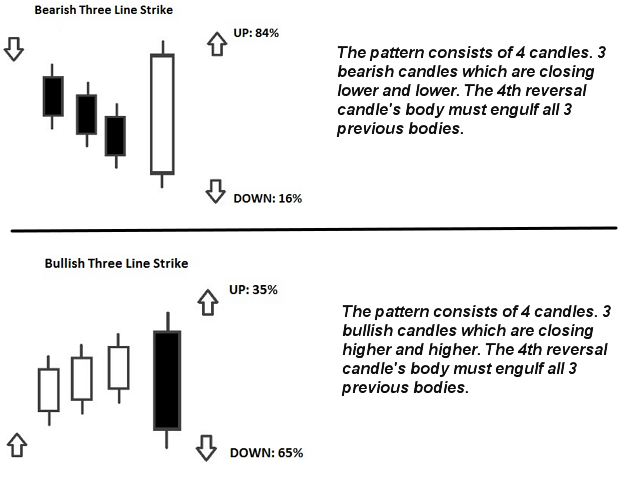 3 line candles body size % (only used in strict mode): Minimum size in percentage of the candle bodies for the three candles prior to the reversal candle. If for instance lower and upper wicks together counts for 60% on any of the three candles then a body size setting larger then 40 will make the pattern invalid and no alert will be sent. Please note that this setting will not apply if strict is set to False. Enable RSI (on candle prior to reversal candle): True or false. Applies to the candle (shift 2) prior to the reversal candle. RSI overbought and oversold levels: Candle must form above/below these levels in order to be valid. RSI Period: Default period is 14. Symbols to scan: Here you will put all symbols you would like to monitor. 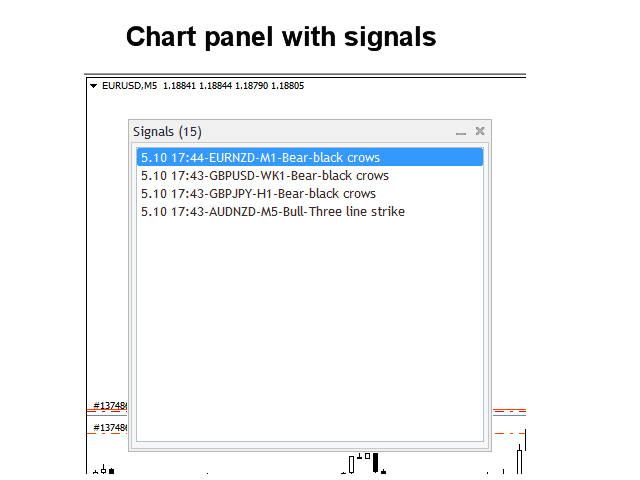 Every symbol must be put in the exact way as it is visible in the Market Watch window ( = offered by your broker) and separated with a comma without spaces. If you put a symbol which does not exist in the Market Watch window, that symbol will not be scanned. Time frames: Set to True for each timeframe you would like to monitor. Jan did a great job with this scanner. There are many configuration options. You can configure it according to your needs and get exactly those signals which you want to receive. 5 stars!